Female Nursery Teacher Using A Digital Tablet With Two Students In The Classroom. Royalty Free Fotografie A Reklamní Fotografie. Image 60256173. 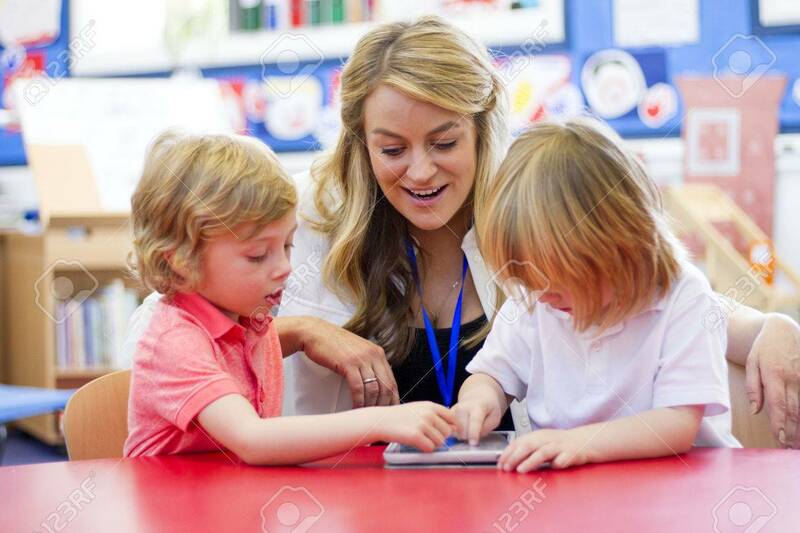 Reklamní fotografie - Female nursery teacher using a digital tablet with two students in the classroom. Female nursery teacher using a digital tablet with two students in the classroom.